I tried them out last week and gosh, my collection will not end here. The brushes are wide, so it only takes about 2 strokes to cover my entire nail. 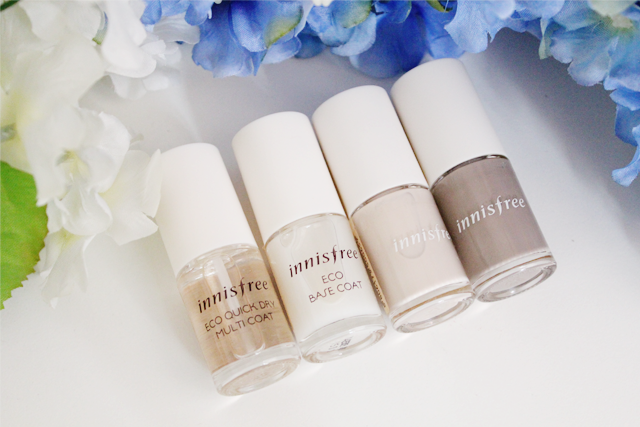 The Eco Base Coat is actually pretty normal, but it's so much cheaper than my O.P.I. and it works just as well. Where the Eco Nail Color Pro is concerned, gawd. SO GOOD. The formula has the right consistency so that it applies like a dream. The beige colour was a tad streaky at the ends, but give it some time and the formula smooths itself out. 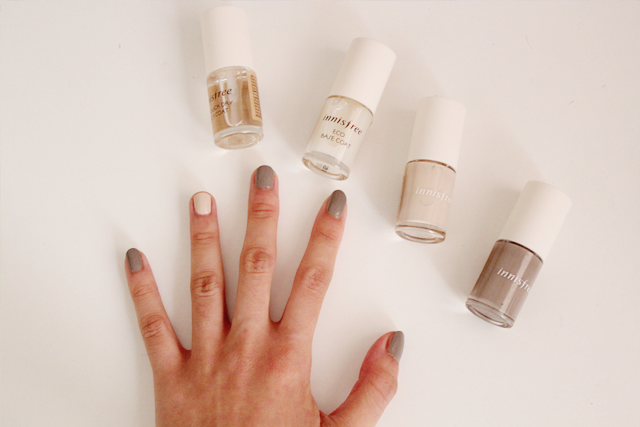 In the photos, I had 1 coat on for the grey and 2 coats for the beige. As for the Eco Quick Dry Multicoat, I'm so going to buy this for the rest of my life. It was the first time that I didn't mess anything up during the drying process. That was how quick-drying it was. And guess what? My nails didn't chip at all until 6 days later. Yes, please go buy them now! sorry may i ask what number of grey color ? RAMBLINGS: Quarter of a Century Old.